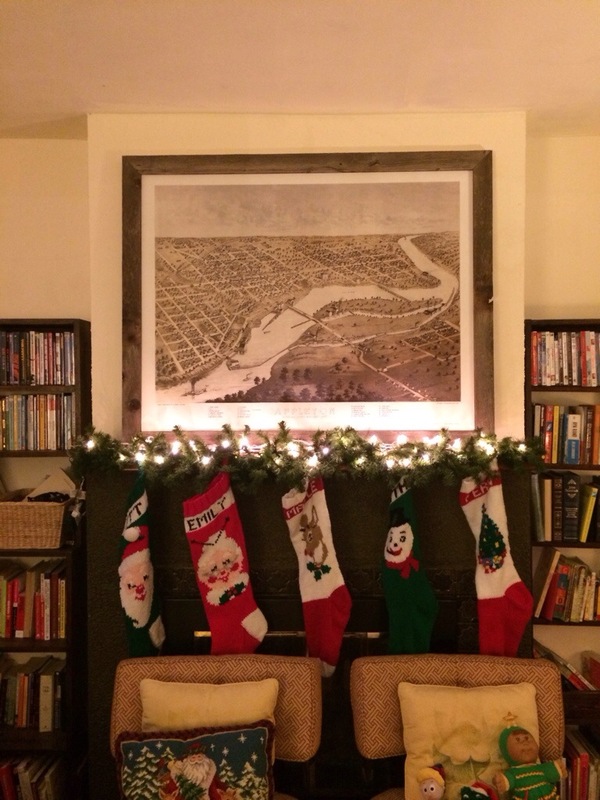 We put together a new piece of artwork for the mantle this year. 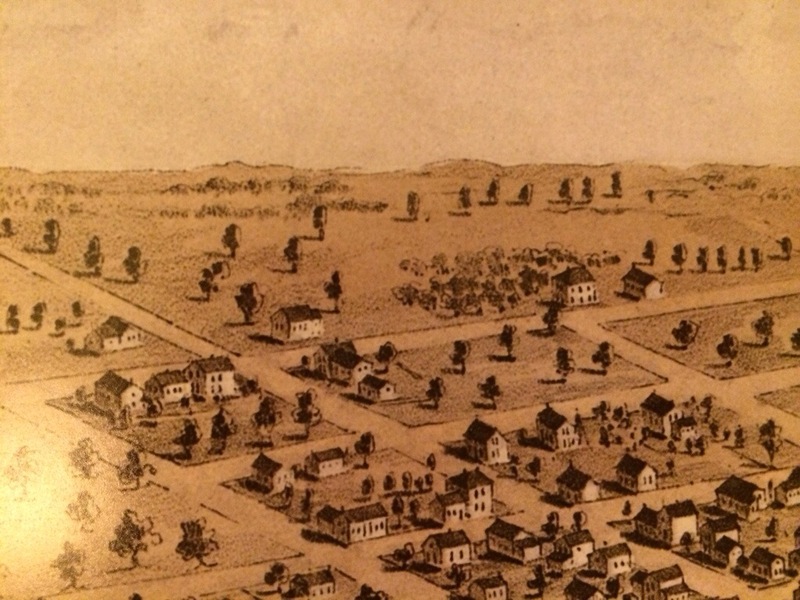 A print of Appleton in 1867, mounted on plywood, framed in with scraps from our backyard fence. 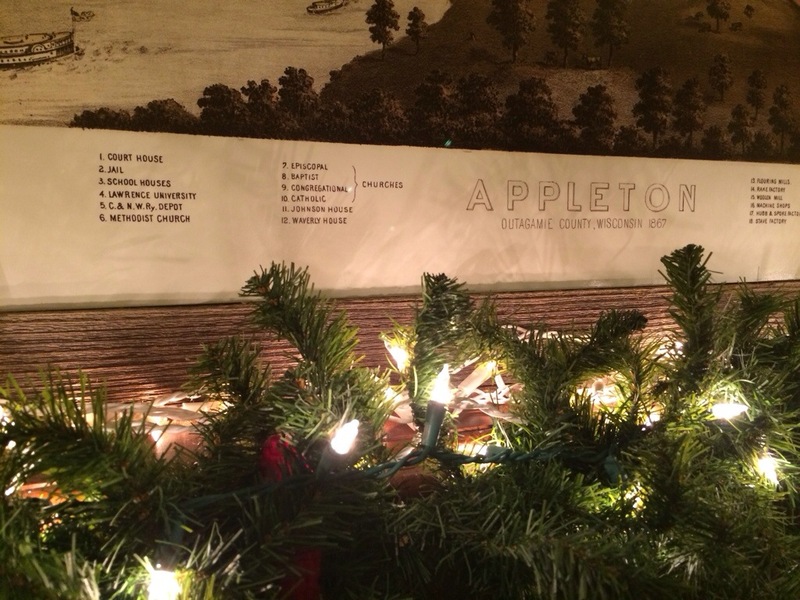 Appleton all aglow.